25:17 So I took the cup from the Lord’s hand. I made all the nations to whom he sent me drink the wine of his wrath. 43 25:18 I made Jerusalem 44 and the cities of Judah, its kings and its officials drink it. 45 I did it so Judah would become a ruin. I did it so Judah, its kings, and its officials would become an object 46 of horror and of hissing scorn, an example used in curses. 47 Such is already becoming the case! 48 25:19 I made all of these other people drink it: Pharaoh, king of Egypt; 49 his attendants, his officials, his people, 25:20 the foreigners living in Egypt; 50 all the kings of the land of Uz; 51 all the kings of the land of the Philistines, 52 the people of Ashkelon, Gaza, Ekron, the people who had been left alive from Ashdod; 53 25:21 all the people of Edom, 54 Moab, 55 Ammon; 56 25:22 all the kings of Tyre, 57 all the kings of Sidon; 58 all the kings of the coastlands along the sea; 59 25:23 the people of Dedan, Tema, Buz, 60 all the desert people who cut their hair short at the temples; 61 25:24 all the kings of Arabia who 62 live in the desert; 25:25 all the kings of Zimri; 63 all the kings of Elam; 64 all the kings of Media; 65 25:26 all the kings of the north, whether near or far from one another; and all the other kingdoms which are on the face of the earth. After all of them have drunk the wine of the Lord’s wrath, 66 the king of Babylon 67 must drink it. 25:31 The sounds of battle 85 will resound to the ends of the earth. 25:34 Wail and cry out in anguish, you rulers! 25:36 Listen to the cries of anguish of the leaders. 1 tn Heb “The word was to Jeremiah.” It is implicit from the context that it was the Lord’s word. The verbal expression is more in keeping with contemporary English style. 2 sn The year referred to would be 605 b.c. Jehoiakim had been placed on the throne of Judah as a puppet king by Pharaoh Necho after the defeat of Josiah at Megiddo in 609 b.c. (2 Kgs 23:34-35). According to Jer 46:2 Nebuchadnezzar defeated Necho at Carchemish in that same year. After defeating Necho, Nebuchadnezzar had hurried back to Babylon where he was made king. After being made king he then returned to Judah and attacked Jerusalem (Dan 1:1. The date given there is the third year of Jehoiakim but scholars are generally agreed that the dating there is based on a different system than the one here. It did not count the part of the year before New Year’s day as an official part of the king’s official rule. Hence, the third year there is the fourth year here.) The identity of the foe from the north referred to in general terms (4:6; 6:1; 15:12) now becomes clear. 4 sn The year referred to would be 627 b.c. The same year is referred to in 1:2 in reference to his call to be a prophet. 5 tn For the idiom involved here see the notes at 7:13 and 11:7. 6 tn The words “what he said” are not in the text but are implicit. They are supplied in the translation for clarity. 7 tn For the idiom involved here see the notes at 7:13 and 11:7. 8 tn The vav consecutive with the perfect in a past narrative is a little unusual. Here it is probably indicating repeated action in past time in keeping with the idiom that precedes and follows it. See GKC 332 §112.f for other possible examples. 9 tn Heb “inclined your ear to hear.” This is idiomatic for “paying attention.” It is often parallel with “listen” as here or with “pay attention” (see, e.g., Prov 4:20; 51:1). 11 tn Heb “Turn [masc. pl.] each person from his wicked way and from the evil of your [masc. pl.] doings.” See the same demand in 23:22. 12 tn Heb “gave to you and your fathers with reference to from ancient times even unto forever.” See the same idiom in 7:7. 13 tn Heb “follow after.” See the translator’s note on 2:5 for this idiom. 14 tn Heb “make me angry with the work of your hands.” The term “work of your own hands” is often interpreted as a reference to idolatry as is clearly the case in Isa 2:8; 37:19. However, the parallelism in 25:14 and the context in 32:30 show that it is more general and refers to what they have done. That is likely the meaning here as well. 16 tn This is a rather clear case where the Hebrew particle לְמַעַן (lÿma’an) introduces a consequence and not a purpose, contrary to the dictum of BDB 775 s.v. מַעַן note 1. They have not listened to him in order to make him angry but with the result that they have made him angry by going their own way. Jeremiah appears to use this particle for result rather than purpose on several other occasions (see, e.g., 7:18, 19; 27:10, 15; 32:29). 17 tn Heb “make me angry with the work of your hands.” The term “work of your own hands” is often interpreted as a reference to idolatry as is clearly the case in Isa 2:8; 37:19. However, the parallelism in 25:14 and the context in 32:30 show that it is more general and refers to what they have done. That is likely the meaning here as well. sn See the study note on 2:19 for an explanation of this title. 21 sn The many allusions to trouble coming from the north are now clarified: it is the armies of Babylon which included within it contingents from many nations. See 1:14, 15; 4:6; 6:1, 22; 10:22; 13:20 for earlier allusions. 22 sn Nebuchadnezzar is called the Lord’s servant also in Jer 27:6; 43:10. He was the Lord’s servant in that he was the agent used by the Lord to punish his disobedient people. Assyria was earlier referred to as the Lord’s “rod” (Isa 10:5-6) and Cyrus is called his “shepherd” and his “anointed” (Isa 44:28; 45:1). P. C. Craigie, P. H. Kelley, and J. F. Drinkard (Jeremiah 1-25 [WBC], 364) make the interesting observation that the terms here are very similar to the terms in v. 4. The people of Judah ignored the servants, the prophets, he sent to turn them away from evil. So he will send other servants whom they cannot ignore. 23 tn The word used here was used in the early years of Israel’s conquest for the action of killing all the men, women, and children in the cities of Canaan, destroying all their livestock, and burning their cities down. This policy was intended to prevent Israel from being corrupted by paganism (Deut 7:2; 20:17-18; Josh 6:18, 21). It was to be extended to any city that led Israel away from worshiping God (Deut 13:15) and any Israelite who brought an idol into his house (Deut 7:26). Here the policy is being directed against Judah as well as against her neighbors because of her persistent failure to heed God’s warnings through the prophets. For further usage of this term in application to foreign nations in the book of Jeremiah see 50:21, 26; 51:3. 24 tn Heb “will utterly destroy them.” The referent (this land, its inhabitants, and the nations surrounding it) has been specified in the translation for clarity, since the previous “them” referred to Nebuchadnezzar and his armies. 25 sn The Hebrew word translated “everlasting” is the word often translated “eternal.” However, it sometimes has a more limited time reference. For example it refers to the lifetime of a person who became a “lasting slave” to another person (see Exod 21:6; Deut 15:17). It is also used to refer to the long life wished for a king (1 Kgs 1:31; Neh 2:3). The time frame here is to be qualified at least with reference to Judah and Jerusalem as seventy years (see 29:10-14 and compare v. 12). 26 tn Heb “I will make them an object of horror and a hissing and everlasting ruins.” The sentence has been broken up to separate the last object from the first two which are of slightly different connotation, i.e., they denote the reaction to the latter. 27 sn Compare Jer 7:24 and 16:9 for this same dire prediction limited to Judah and Jerusalem. 28 sn The sound of people grinding meal and the presence of lamps shining in their houses were signs of everyday life. The Lord is going to make these lands desolate (v. 11) destroying all signs of life. (The statement is, of course, hyperbolic or poetic exaggeration; even after the destruction of Jerusalem many people were left in the land.) For these same descriptions of everyday life applying to the end of life see the allegory in Eccl 12:3-6. 33 tn Heb “I will visit upon the king of Babylon and upon that nation, oracle of the Lord, their iniquity even upon the land of the Chaldeans and I will make it everlasting ruins.” The sentence has been restructured to avoid ambiguity and to conform the style more to contemporary English. 35 tn Or “I will bring upon it everything that is to be written in this book. I will bring upon it everything that Jeremiah is going to prophesy concerning all the nations.” The reference to “this book” and “what Jeremiah has prophesied against the nations” raises issues about the editorial process underlying the current form of the book of Jeremiah. As the book now stands there is no earlier reference to any judgments against Babylon or any book (really “scroll”; books were a development of the first or second century a.d.) containing them. A common assumption is that this “book” of judgment refers to the judgments against Babylon and the other nations contained at the end of the book of Jeremiah (46:1–51:58). The Greek version actually inserts the prophecies of 46:1–51:58 here (but in a different order) and interprets “Which (= What) Jeremiah prophesied concerning all the nations” as a title. It is possible that the Greek version may represent an earlier form of the book. At least two earlier forms of the book are known that date roughly to the period dealt with here (Compare 36:1 with 25:1 and see 36:2, 4 and 36:28, 32). Whether reference here is made to the first or second of these scrolls and whether the Greek version represents either is impossible to determine. It is not inconceivable that the referent here is the prophecies which Jeremiah has already uttered in vv. 8-12 and is about to utter in conjunction with the symbolical act that the Lord commands him to perform (vv. 15-26, 30-38) and that these are proleptic of the latter prophecies which will be given later and will be incorporated in a future book. That is the tenor of the alternate translation. The verb forms involved are capable of either a past/perfect translation or a proleptic/future translation. For the use of the participle (in the alternate translation = Heb “that is to be written”; הַכָּתוּב, hakkatuv) to refer to what is proleptic see GKC 356-57 §116.d, e, and compare usage in Jonah 1:3; 2 Kgs 11:2. For the use of the perfect to refer to a future act (in the alternate translation “is going to prophesy,” נִבָּא, nibba’) see GKC 312 §106.m and compare usage in Judg 1:2. In support of this interpretation is the fact that the first verb in the next verse (Heb “they will be subjected,” עָבְדוּ, ’ovdu) is undoubtedly prophetic [it is followed by a vav consecutive perfect; cf. Isa 5:14]). Reading the text this way has the advantage of situating it within the context of the passage itself which involves prophecies against the nations and against Babylon. Babylon is both the agent of wrath (the cup from which the nations drink, cf. 51:7) and the recipient of it (cf. v. 26). However, this interpretation admittedly does not explain the reference to “this book,” except as a proleptic reference to some future form of the book and there would be clearer ways of expressing this view if that were what was definitely intended. 36 tn Heb “make slaves of them.” The verb form here indicates that the action is as good as done (the Hebrew prophetic perfect). For the use of the verb rendered “makes slaves” see parallel usage in Lev 25:39, 46 (cf. BDB 713 s.v. עָבַד 3). 37 tn Heb “according to their deeds and according to the work of their hands.” The two phrases are synonymous; it would be hard to represent them both in translation without being redundant. The translation attempts to represent them by the qualifier “all” before the first phrase. 38 tn This is an attempt to render the Hebrew particle כִּי (ki) which is probably being used in the sense that BDB 473-74 s.v. כִּי 3.c notes, i.e., the causal connection is somewhat loose, related here to the prophecies against the nations. “So” seems to be the most appropriate way to represent this. 39 tn Heb “Thus said the Lord, the God of Israel, to me.” It is generally understood that the communication is visionary. God does not have a “hand” and the action of going to the nations and making them drink of the cup are scarcely literal. The words are supplied in the translation to show the figurative nature of this passage. 40 sn “Drinking from the cup of wrath” is a common figure to represent being punished by God. Isaiah had used it earlier to refer to the punishment which Judah was to suffer and from which God would deliver her (Isa 51:17, 22) and Jeremiah’s contemporary Habakkuk uses it of Babylon “pouring out its wrath” on the nations and in turn being forced to drink the bitter cup herself (Hab 2:15-16). In Jer 51:7 the Lord will identify Babylon as the cup which makes the nations stagger. In v. 16 drinking from the cup will be identified with the sword (i.e., wars) that the Lord will send against the nations. Babylon is also to be identified as the sword (cf. Jer 51:20-23). What is being alluded to here in highly figurative language is the judgment that the Lord will wreak on the nations listed here through the Babylonians. The prophecy given here in symbolical form is thus an expansion of the one in vv. 9-11. 41 tn There is some debate about the meaning of the verb here. Both BDB 172 s.v. גָּעַשׁ Hithpo and KBL 191 s.v. גָּעַשׁ Hitpol interpret this of the back and forth movement of staggering. HALOT 192 s.v. גָּעַשׁ Hitpo interprets it as vomiting. The word is used elsewhere of the up and down movement of the mountains (2 Sam 22:8) and the up and down movement of the rolling waves of the Nile (Jer 46:7, 8). The fact that a different verb is used in v. 27 for vomiting would appear to argue against it referring to vomiting (contra W. L. Holladay, Jeremiah [Hermeneia], 1:674; it is “they” that do this not their stomachs). 42 tn Heb “because of the sword that I will send among them.” Here, as often elsewhere in Jeremiah, the sword is figurative for warfare which brings death. See, e.g., 15:2. The causal particle here is found in verbal locutions where it is the cause of emotional states or action. Hence there are really two “agents” which produce the effects of “staggering” and “acting insane,” the cup filled with God’s wrath and the sword. The sword is the “more literal” and the actual agent by which the first agent’s action is carried out. 43 tn The words “the wine of his wrath” are not in the text but are implicit in the metaphor (see vv. 15-16). They are supplied in the translation for clarity. 44 map For location see Map5 B1; Map6 F3; Map7 E2; Map8 F2; Map10 B3; JP1 F4; JP2 F4; JP3 F4; JP4 F4. 45 tn The words “I made” and “drink it” are not in the text. The text from v. 18 to v. 26 contains a list of the nations that Jeremiah “made drink it.” The words are supplied in the translation here and at the beginning of v. 19 for the sake of clarity. See also the note on v. 26. 46 tn Heb “in order to make them a ruin, an object of…” The sentence is broken up and the antecedents are made specific for the sake of clarity and English style. 47 tn See the study note on 24:9 for explanation. 48 tn Heb “as it is today.” This phrase would obviously be more appropriate after all these things had happened as is the case in 44:6, 23 where the verbs referring to these conditions are past. Some see this phrase as a marginal gloss added after the tragedies of 597 b.c. or 586 b.c. However, it may refer here to the beginning stages where Judah has already suffered the loss of Josiah, of its freedom, of some of its temple treasures, and of some of its leaders (Dan 1:1-3. The different date for Jehoiakim there is due to the different method of counting the king’s first year; the third year there is the same as the fourth year in 25:1). 49 sn See further Jer 46:2-28 for the judgment against Egypt. 51 sn The land of Uz was Job’s homeland (Job 1:1). The exact location is unknown but its position here between Egypt and the Philistine cities suggests it is south of Judah, probably in the Arabian peninsula. Lam 4:21 suggests that it was near Edom. 52 sn See further Jer 47:1-7 for the judgment against the Philistines. The Philistine cities were west of Judah. 53 sn The Greek historian Herodotus reports that Ashdod had been destroyed under the Pharaoh who preceded Necho, Psammetichus. 54 sn See further Jer 49:7-22 for the judgment against Edom. Edom, Moab, and Ammon were east of Judah. 55 sn See further Jer 48:1-47 for the judgment against Moab. 56 sn See further Jer 49:1-6 for the judgment against Ammon. 57 map For location see Map1 A2; Map2 G2; Map4 A1; JP3 F3; JP4 F3. 58 sn Tyre and Sidon are mentioned within the judgment on the Philistines in Jer 47:4. 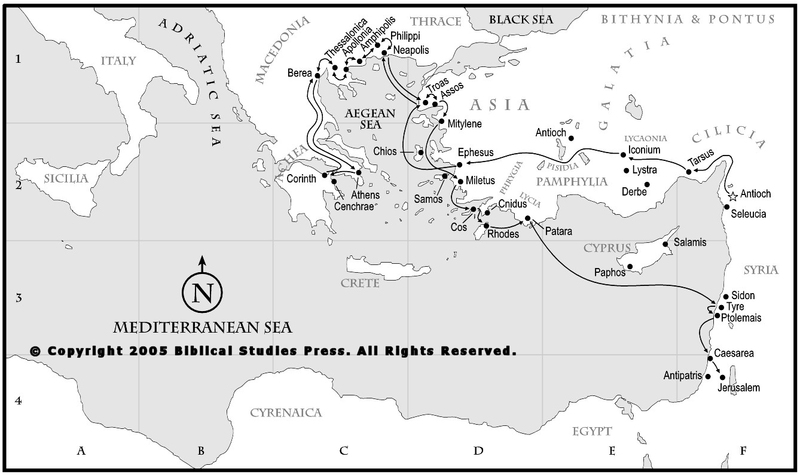 They were Phoenician cities to the north and west of Judah on the coast of the Mediterranean Sea in what is now Lebanon. map For location see Map1-A1; JP3-F3; JP4-F3. 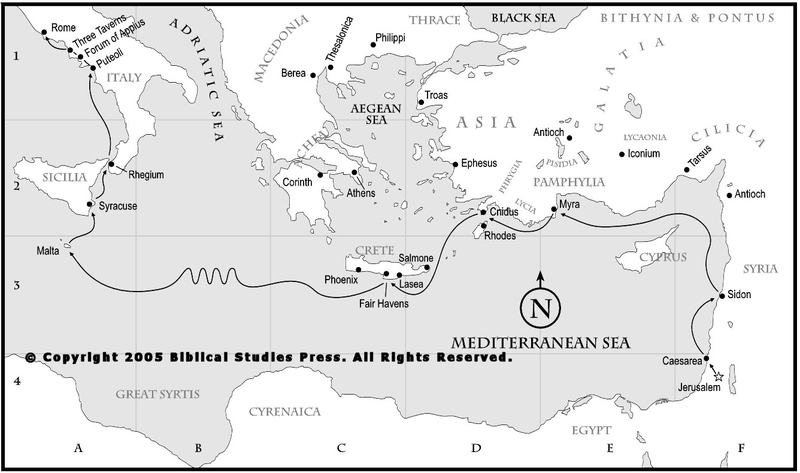 59 sn The connection with Tyre and Sidon suggests that these were Phoenician colonies. See also Isa 23:2. 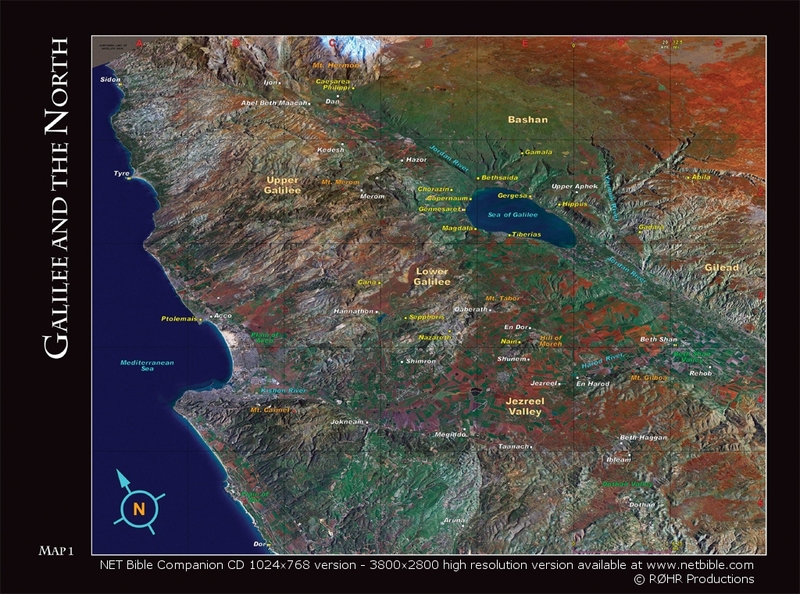 60 sn Dedan and Tema are mentioned together in Isa 21:13-14 and located in the desert. They were located in the northern part of the Arabian peninsula south and east of Ezion Geber. Buz is not mentioned anywhere else and its location is unknown. Judgment against Dedan and Tema is mentioned in conjunction with the judgment on Edom in Jer 47:7-8. 61 tn For the discussion regarding the meaning of the terms here see the notes on 9:26.
sn See Jer 9:26 where these are mentioned in connection with Moab, Edom, and Ammon. 62 tc Or “and all the kings of people of mixed origin who.” The Greek version gives evidence of having read the term only once; it refers to the “people of mixed origin” without reference to the kings of Arabia. While the term translated “people of mixed origin” seems appropriate in the context of a group of foreigners within a larger entity (e.g. Israel in Exod 12:38; Neh 13:3; Egypt in Jer 50:37), it seems odd to speak of them as a separate entity under their own kings. The presence of the phrase in the Hebrew text and the other versions dependent upon it can be explained as a case of dittography. sn See further Jer 49:28-33 for judgment against some of these Arabian peoples. 63 sn The kingdom of Zimri is mentioned nowhere else, so its location is unknown. 64 sn See further Jer 49:34-39 for judgment against Elam. 65 sn Elam and Media were east of Babylon; Elam in the south and Media in the north. They were in what is now western Iran. 66 tn The words “have drunk the wine of the Lord’s wrath” are not in the text. They are supplied in the translation for clarity at the end of the list to serve as a transition to the next sentence which does not directly mention the cup or the Lord’s wrath. 67 tn Heb “the king of Sheshach.” “Sheshach” is a code name for Babylon formed on the principle of substituting the last letter of the alphabet for the first, the next to the last for the second, and so on. On this principle Hebrew שׁ (shin) is substituted for Hebrew ב (bet) and Hebrew כ (kaf) is substituted for Hebrew ל (lamed). On the same principle “Leb Kamai” in Jer 51:1 is a code name for Chasdim or Chaldeans which is Jeremiah’s term for the Babylonians. No explanation is given for why the code names are used. The name “Sheshach” for Babylon also occurs in Jer 51:41 where the term Babylon is found in parallelism with it. 68 tn The words “Then the Lord said to me” are not in the text. They are supplied in the translation for clarity, to connect this part of the narrative with vv. 15, 17 after the long intervening list of nations who were to drink the cup of God’s wrath in judgment. 70 tn Heb “Tell them, ‘Thus says the Lord….’” The translation is intended to eliminate one level of imbedded quotation marks to help avoid confusion. 71 tn The words “this cup” are not in the text but are implicit to the metaphor and the context. They are supplied in the translation for clarity. 72 tn Heb “Drink, and get drunk, and vomit and fall down and don’t get up.” The imperatives following drink are not parallel actions but consequent actions. For the use of the imperative plus the conjunctive “and” to indicate consequent action, even intention see GKC 324-25 §110.f and compare usage in 1 Kgs 22:12; Prov 3:3b-4a. 73 tn Heb “because of the sword that I will send among you.” See the notes on 2:16 for explanation. 74 tn Heb “Tell them, ‘Thus says the Lord…’” The translation is intended to eliminate one level of imbedded quote marks to help avoid confusion. 76 tn Heb “which is called by my name.” See translator’s note on 7:10 for support. 80 tn The word “Jeremiah” is not in the text. It is supplied in the translation to make clear who is being addressed. 82 tn The words “like a lion about to attack” are not in the text but are implicit in the metaphor. The explicit comparison of the Lord to a lion is made at the end of the passage in v. 38. The words are supplied in the translation here for clarity. 83 sn The word used here (Heb “his habitation”) refers to the land of Canaan which the Lord chose to make his earthly dwelling (Exod 15:13) and which was the dwelling place of his chosen people (Jer 10:25; Isa 32:18). Judgment would begin at the “house of God” (v. 29; 1 Pet 4:17) but would extend to the rest of the earth (v. 29). 84 sn The metaphor shifts from God as a lion to God as a mighty warrior (Jer 20:11; Isa 42:13; Zeph 3:17) shouting in triumph over his foes. Within the metaphor is a simile where the warrior is compared to a person stomping on grapes to remove the juice from them in the making of wine. The figure will be invoked later in a battle scene where the sounds of joy in the grape harvest are replaced by the sounds of joy of the enemy soldiers (Jer 48:33). The picture is drawn in more gory detail in Isa 63:1-6. 85 tn For the use of this word see Amos 2:2; Hos 10:14; Ps 74:23. See also the usage in Isa 66:6 which is very similar to the metaphorical usage here. 86 tn Heb “the Lord has a lawsuit against the nations.” For usage of the term see Hos 4:1; Mic 6:2, and compare the usage of the related verb in Jer 2:9; 12:1. 91 tn The words “of military destruction” have been supplied in the translation to make the metaphor clear. The metaphor has shifted from that of God as a lion, to God as a warrior, to God as a judge, to God as the author of the storm winds of destruction. 92 sn The intent here is to emphasize the large quantity of those who are killed – there will be too many to insure proper mourning rites and proper burial. 93 tn Heb “Wail and cry out, you shepherds. Roll in the dust, you leaders of the flock.” The terms have been reversed to explain the figure. sn The term “shepherd” has been used several times in the book of Jeremiah to refer to the leaders of the people who were responsible for taking care of their people who are compared to a flock. (See Jer 23:1-4 and the notes there.) Here the figure has some irony involved in it. It is the shepherds who are to be slaughtered like sheep. They may have considered themselves “choice vessels” (the literal translation of “fine pottery”), but they would be slaughtered and lie scattered on the ground (v. 33) like broken pottery. 94 tn The meaning of this line is debated. The Greek version does not have the words “lie scattered” and it reads the words “like broken pieces of fine pottery” (Heb “like choice vessels”; כִּכְלִי חֶמְדָּה, kikhli khemdah) as “like choice rams” (כְּאֵילֵי חֶמְדָּה, kÿ’ele khemdah); i.e., “the days have been completed for you to be slaughtered and you will fall like choice rams.” The reading of the Greek version fits the context better, but is probably secondary for that very reason. The word translated “lie scattered” (תְּפוֹצָה, tÿfotsah) occurs nowhere else and the switch to the simile of “choice vessels” is rather abrupt. However, this section has been characterized by switching metaphors. The key to the interpretation and translation here is the consequential nature of the verbal actions involved. “Fall” does not merely refer to the action but the effect, i.e., “lie fallen” (cf. BDB 657 s.v. נָפַל 7 and compare Judg 3:25; 1 Sam 31:8). Though the noun translated “lie scattered” does not occur elsewhere, the verb does. It is quite commonly used of dispersing people and that has led many to see that as the reference here. The word, however, can be used of scattering other things like seed (Isa 28:25), arrows (2 Sam 22:15; metaphorical for lightning), etc. Here it follows “slaughtered” and refers to their dead bodies. The simile (Heb “ fallen like choice vessels”) is elliptical, referring to “broken pieces” of choice vessels. In this sense the simile fits in perfectly with v. 33.
sn Judging from Gen 14:10 and Judg 8:12 (among many others), it was not uncommon for the leaders to try to save their own necks at the expense of their soldiers. 96 tn Heb “their pastures,” i.e., the place where they “shepherd” their “flocks.” The verb tenses in this section are not as clear as in the preceding. The participle in this verse is followed by a vav consecutive perfect like the imperatives in v. 34. The verbs in v. 38 are perfects but they can be and probably should be understood as prophetic like the perfect in v. 31 (נְתָנָם, nÿtanam) which is surrounded by imperfects, participles, and vav consecutive perfects. sn Jer 25:36-38 shifts to the future as though the action were already accomplished or going on. It is the sound that Jeremiah hears in his “prophetic ears” of something that has begun (v. 29) but will find its culmination in the future (vv. 13, 16, 27, 30-35). sn The text returns to the metaphor alluded to in v. 30. The bracketing of speeches with repeated words or motifs is a common rhetorical device in ancient literature. 100 tn This is a way of rendering the Hebrew particle כִּי (ki) which is probably here for emphasis rather than indicating cause (see BDB 473 s.v. כִּי 1.e and compare usage in Jer 22:22). 101 tc Heb “by the sword of the oppressors.” The reading here follows a number of Hebrew mss and the Greek version. The majority of Hebrew mss read “the anger of the oppressor.” The reading “the sword of the oppressors” is supported also by the parallel use of this phrase in Jer 46:16; 50:16. The error in the MT may be explained by confusion with the following line which has the same beginning combination (מִפְּנֵי חֲרוֹן [mippÿne kharon] confused for מִפְּנֵי חֶרֶב [mippÿne kherev]). This reading is also supported by the Targum, the Aramaic paraphrase of the OT. According to BDB 413 s.v. יָנָה Qal the feminine singular participle (הַיּוֹנָה, hayyonah) is functioning as a collective in this idiom (see GKC 394 §122.s for this phenomenon). sn The connection between “war” (Heb “the sword”) and the wrath or anger of the Lord has already been made in vv. 16, 27 and the sword has been referred to also in vv. 29, 31. The sword is of course a reference to the onslaughts of the Babylonian armies (see later Jer 51:20-23).